Who Wants a Concrete iPhone Skin? You can get all manner of weird and wonderful iPhone cases, but if you want something more industrial, maybe you'd like one made out of concrete. Wait, what? 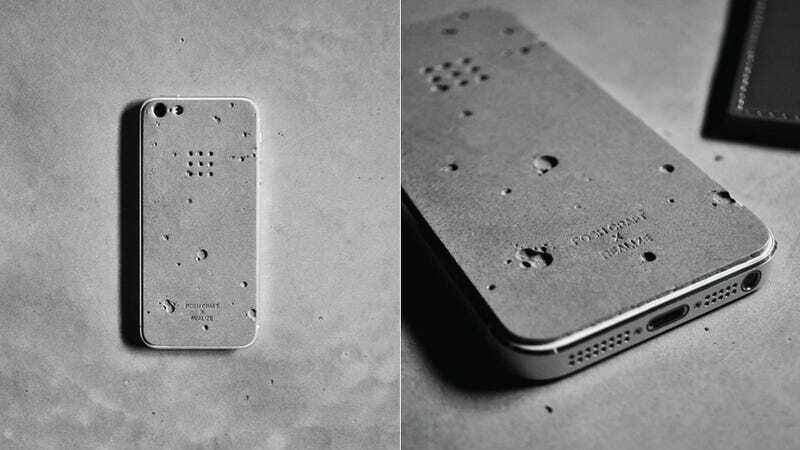 Designed by Korean creative collective Posh Craft, this replacement iPhone 5 made entirely out of concrete. The designers claim each one is unique, skittered with one-of-a-kind crater-like voids and imperfections.